We understand that visiting the dentist can be a daunting experience – but it doesn’t have to be! 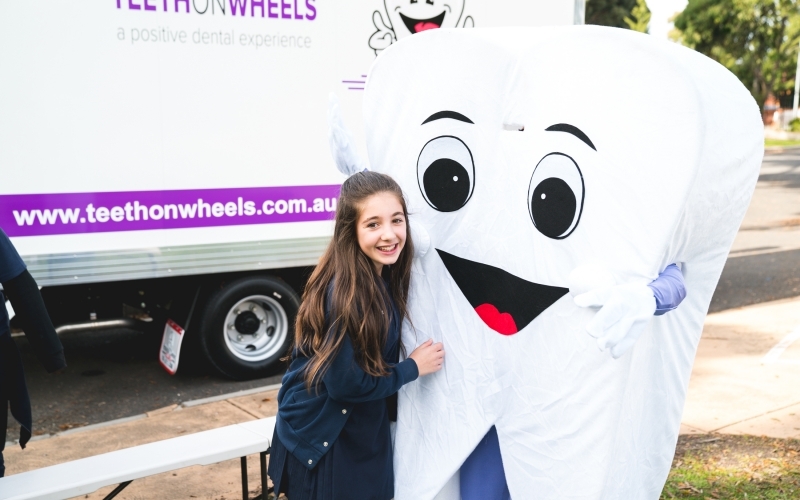 Teeth on Wheels provide an on-site dentistry service to schools and childcare facilities within the greater Melbourne and NSW area. We pride ourselves on providing the highest quality dental treatment while making it fun, positive and memorable. Our vehicles are fitted out with state of the art dental equipment and include entertainment systems with classic movies and music, providing a stress-free and relaxing atmosphere for our patients. Our team has over 50 years combined experience in general dentistry, including preventative treatment, and have a passion to make visiting the dentist a fun and enjoyable experience. All team members are fully qualified, police checked and are working with children certified. Our Clinicians are proud Australian Dental Association (ADA) members.